This summer has been a wonderful one. I’ve spent quality time with my boys and my husband and we have dedicated time to take a few adventures together. While we were having fun, we were also creating opportunities for us to learn together. After all, you wouldn’t expect anything less from an educator with over fifteen years of teaching experience in the classroom. I’ve noticed that no matter where we are or what we are doing, we can always use paper and paper-products to inspire learning beyond the classroom. You’d be surprised how many creative activities and writing exercises can arise from everyday events. My ten-year-old son’s favorite thing to do is illustrate his experiences using crayons and his favorite drawing notebook. It is such a pleasure to watch him bring his drawings to life. It’s a great way to foster his creativity and to allow him to use visualization to create images that he is able to see with his mind. 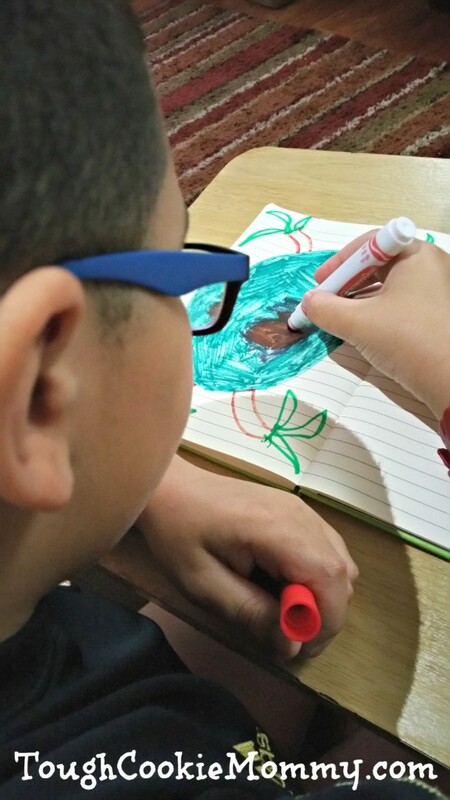 He really enjoyed drawing the Biosphere pool that we visited a few weeks ago. Illustrating his experience helped him to gain a deeper understanding of the complex ecosystem that exists in the pool. He realized that the plants around the pool are growing because of the rays of the sun and moisture that are a part of photosynthesis. It was a great way for him to learn a difficult science concept through his drawing what he had observed. The best part is that he will have the opportunity to expand his learning this year in fifth-grade as he participates in his first Science Fair. 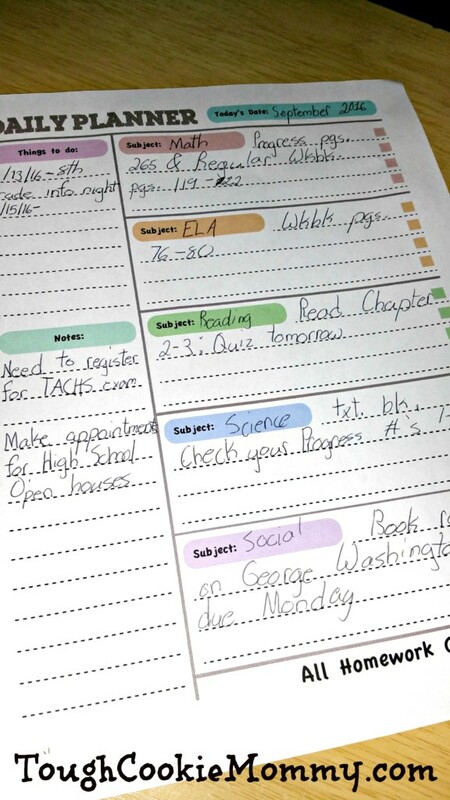 My thirteen-year-old is entering eighth grade this year and is focusing on where he will go to high school, as well as getting organized and keeping track of important dates. I’ve been working with him to extend his learning both in and out of the classroom by teaching him how to stay organized. We are currently using my editorial calendar to teach him how to use a planner to organize his time accordingly. As a blogger, I use my editorial calendar to schedule campaigns that I am working on and deadlines that I have to meet. In my son’s case, he has a lot of exciting dates coming up including his eighth grade information meeting and high school fair. He will be using his calendar to keep track of these important events. Additionally, making sure that he hands in assignments on time and completes homework is integral to his academic success this year. 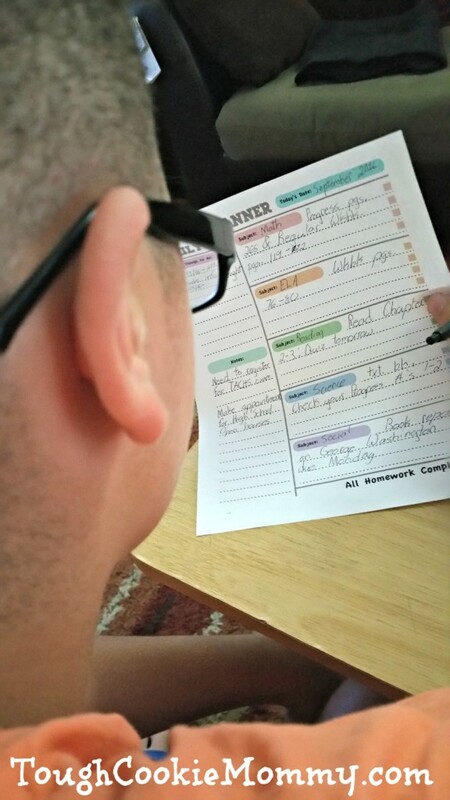 Using his planner will ensure that he prioritizes and maximizes his time. 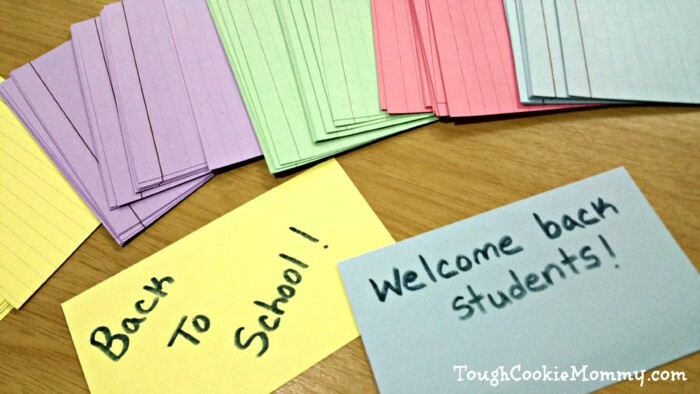 Lastly, since I will be starting a new teaching job in September, I have even been trying to extend my own learning by using index cards to prepare for what I will say to my new students on the first week of school. After teaching middle school for the past fifteen years, I will be embarking on a new journey as a high school reading teacher. It’s important that I jot down all of my thoughts and ideas on paper as I prepare to teach older students. The reason for this is that I often gain inspiration from my daily life and experiences that drive my lesson planning and instruction. Being able to record this information organically and in real-time on paper allows me to make connections between my life and my teaching. One of the ways that I am preparing for my new high school students this year is by reviewing teaching materials around literacy and adolescents. Using paper-based products in my classroom will allow me to create a print rich environment that promotes and fosters reading and writing and gives my students the tools that they need to be lifelong learners. Kids who read are more successful in developing strong critical thinking and rhetorical skills. Studies have shown that not only do they develop stronger vocabularies, but they also improve in fluency and comprehension. As you can see, there are many ways to extend learning outside the classroom, even when on vacation. Paper and paper-based packaging items play a critical role in our everyday lives and are essential in promoting learning through daily experiences. Not only can paper help foster organization and preparation, but it also allows students and educators alike to truly be engaged in their own learning. Paper is central to acknowledging and documenting achievements in ways that help build truly authentic relationships and encourage personal growth. 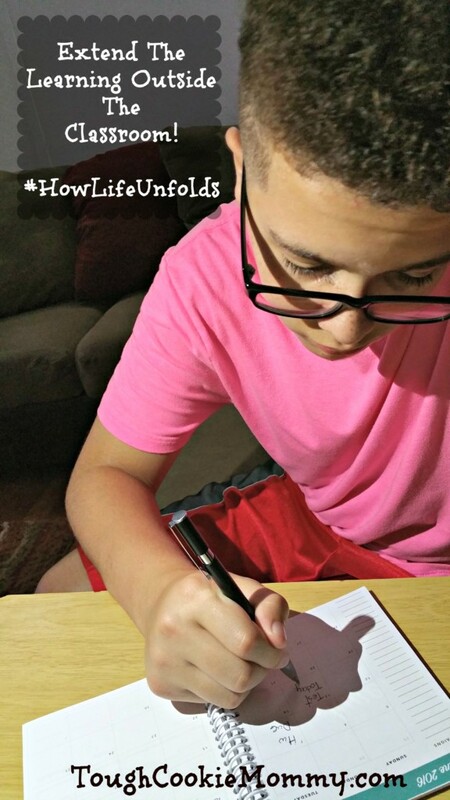 You can learn more about the Paper & Packaging – How Life Unfolds ™ campaign including ways to stay more productive with paper by visiting howlifeunfolds.com. It’s amazing how paper and paper-based packaging products are an integral part of our lives and continued learning! Let’s Discuss: What are some of the ways that you use paper and paper-based packaging products to extend your child’s learning outside of the classroom? I’ll be lost without my planner. It’s good to teach kids to stay organized at an early age. If I had to live without paper, I would lose my mind. I tried staying organized electronically – that did not work out very well for me. Good luck with your new teaching journey!! Staying organized is KEY! My 12 year old learned that the hard way last year when he lost some homework and ended up having to miss out on his free time to make it up. I had drawing pads and notebooks for my kids too. They loved to write creative stories and draw anything and everything. As for planners, that would be me. I’d be lost without them! These are great tips for time management and staying focused. I will have to get an editorial calendar for my daughter. Maybe that will help her stay on track with all of her school homework and projects. I use a lot of online planners but the thing I use every day as a blogger is my paper, spiral bound planner. I love that I can take it anywhere and cross things off which is so freeing! You did a great job keeping everyone on task after school. I love the organized printable you used too. It’s so hard for kids with so many distractions. These are such great tips & thanks so much for bringing this lovely personal experience with your as a blogger & your son’s exciting times at school. What a fab post! My son writes down music for fun. He is really into his band stuff. I grew up using paper and pencils or pens and I still do! When trying to help others understand accounting principles–out comes the paper!! I was also called on to help friends children with certain subjects–books–paper and pencils again! I myself make hand written notes to myself. And my pocket calendar is always in my pocketbook!! My oldest is still too young for school but I’ve tried to start the learning process both in and outside our home. I try to plan different “field trips” each week to a farm, museum, the zoo… we do a lot of discussing what we’ve observed and we recall the activities that we did and what we learn no matter where we go. It’s important to extend learning outside the classroom because it keeps their minds active! I think these are awesome ideas! Good luck and congratulations on your new teaching job, I hope everything goes smoothly! You’re so smart to teach your son these organizing skills! He’ll need this information all his life and it’ll make him a better adult! Your son is definitely a visual learner I learn through writing myself. It’s great that he understood the complexity of the eco-system by illustrating it! My daughter has been writing and drawing a lot of letters this summer. She also loves to use wrapping paper for her creations. I’m a huge fan of planners and calendars! I use both paper and electronic ones, but the paper ones are my favorites. Good luck with your new teaching journey! My mom always extended our learning outside school as did my dad with sports and I’m glad they did. Back then, I was a little annoyed at it though. Congratulations on your new position! While many things at school are moving to electronic copy, I still use lots of paper in the classroom. Just today we made a foldable on ratios. My sixth-graders loved it! I applaud the fact that you still use pen and paper in your family. I fear the electronics will take over the childhood of the new kids growing up. I feel that technology is great and the advance it has had is amazing. But nothing like a pen and paper to let your imagination free. I think as a teacher myself it is in the blood to teach. I often find ways to incorporate learning in any events or activities we are doing together as a family. It really does help you bond and your children to see learning IS fun as well. I haven’t gotten into the planner thing yet. Somehow I’m keeping a lot of it straight in my head. Learning doesn’t end when the kids are out of the classroom. I love that your son enjoys coloring and drawing in his notebook. My son has a notebook too because I have one where I doodle sometimes he wanted to have one too. Keeping a planner is a great way to help with time managing. I Love this Post Maria. The fact that your son pretty much illustrates his life is great! Gabby is in Preschool 3s so I actually downloaded a Kinder font to my computer so that I could print out dotted Name trace sheets. She likes to do it and making paper crafts are awesome. As an educator and life long learner, planning and organizing materials are a crucial part of my daily life too so I can appreciate this post. Best wishes on your journey teaching High School. 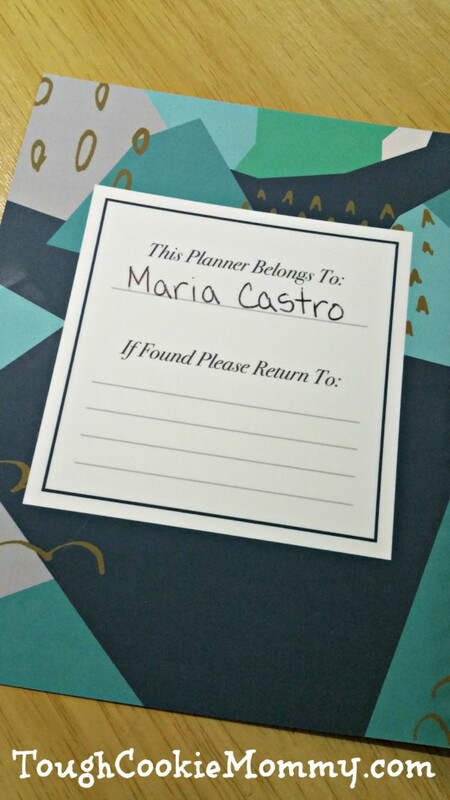 I’m a planner addict and ow my girls are too. I love how it helps them keep their school stuff in order. I think all kids need planners. Great job with your boys mamma.